Every residential property requires regular maintenance. If the property is not maintained from time to time, it could lead to a lot of trouble for the owners as well as the neighbors. Maintenance of the sewer lines is very important. If the sewer line clogs, you will have to call the technicians to get it repaired. And if the clogging is a constant issue, you need to understand that there could be a deeper problem and not a clogging caused due to tree roots. There could be a possibility of a separation or a collapse in the sewer line. This is something only a professional can identify and repair. Major problems in the line are easily noticeable but the minor issues that are usually overlooked, can cause huge trouble and cost money in the long run. You will notice differences in the drainage of water if there is anything wrong with the sewer line. The water will drain slowly if the sewer line has collapsed and only a small amount of water will pass immediately. The water will gather there and the drain will become more sluggish until no water can pass. This will cause huge trouble for you and it may lead to a full collapse of the line. A fully collapsed line is very obvious, the drain will get clogged and the wastewater will escape causing a leak in the yard. This will create a smelly and unhealthy mess which will be difficult to clean. Wastewater should be discharged in the right manner in order to avoid any unhealthy mess or smell. Especially if you have kids in the house, water can be the cause of multiple diseases. It is possible to repair a certain part of the line as long as the rest of the line is operating in an appropriate condition. 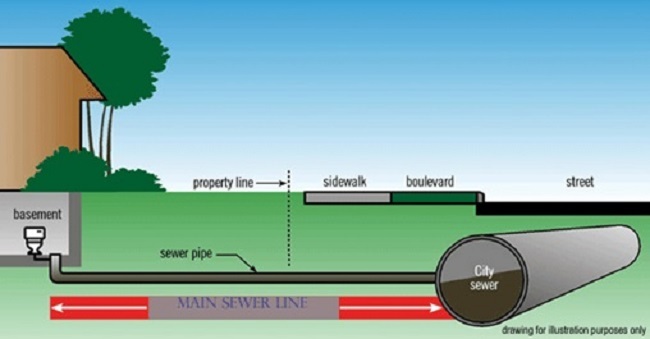 Sewer surgeons can manage the repairs of a small part of the line at a lower cost and within no time. If the issue remains unresolved, it will only grow into a huge problem which will cost thousands of dollars and take up a lot of time for repairs. The professionals have detailed knowledge about the sewage cleaning and can immediately detect what has gone wrong with the drainage. They use the latest tools and equipment to identify the problem and immediately work on it. There could be a number of reasons behind the sewage trouble and only an expert can identify the issue with the use of their tools. The company specializes in servicing homeowners and has many years of experience. They understand the importance of a clean and well-maintained sewage for your home. Additionally, they offer commercial pipe repair services and hospitality repair services that help maintain a property in an appropriate manner. The importance of a clean sewage cannot be exaggerated enough. The services offered by experts can help ensure that the entire line is well functional and the flow of water is not interrupted.